Lilesville - Mr. Samuel Roger Liles, the son of the late John Mark Liles and Thomasina Byrd Liles was born on March 6, 1945 in Lilesville, NC. 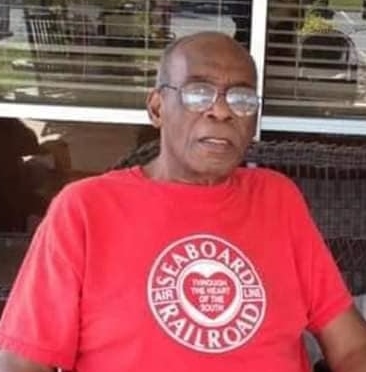 He departed this life on Thursday, March 28, 2019 at the Atrium Health Anson Hospital in Wadesboro, NC. Samuel, known to many as Pike, attended Henry Grove School and graduated with the Class of 1965. During his high school years, Samuel was active in sports. He enjoyed playing baseball and basketball. He pitched and played second base for the Lilesville Sluggers. His jersey number for basketball was 24. He often bragged about scoring 24 points in a tournament game against West Deep Creek High School. Samuel was a hard worker. He held many jobs while in high school. He drove the school bus and cut pulpwood with his father. He also worked at W.R. Bonsal. 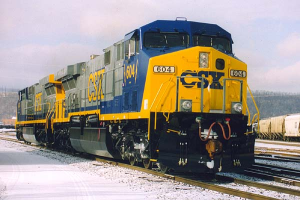 After graduating high school, Samuel was hired as a brakeman for Seaboard Air Line Railroad (CSX Transportation). Later, he became a conductor. He worked on both freight and passenger trains. Samuel was extremely proud to work for the railroad and made many loyal and lifelong friends. He accepted Christ and was baptized at Chisholm Grove Missionary Baptist Church in Lilesville, NC. Later, he joined First Baptist Church in Wadesboro, NC and became a Deacon. He was instrumental in finding the site on which the present church is now built. Samuel was formerly married to Jacquelyn Flowers Liles. During their union, they were blessed with a son, Rodney Johnathan, and a daughter, Rosalynn Christie. Samuel was an excellent provider for his family. Rodney and Christie will forever hold dear memories of swimming and fishing at the lake house on Lake Tillery and enjoying family vacations. Samuel was preceded in death by his parents. He leaves to cherish his memories, his caring son, Rodney Liles of Lilesville, NC; loving daughter, Christie Liles of Wadesboro, NC; four beautiful and loving granddaughters, Katelyn Parson, Shantell Liles, Seara Liles, and Shelby Clark; two handsome great-grandsons, Ken’yon Lindsey and Syncere Ledbetter; one precious great-granddaughter, Jaonni Taylor; one devoted brother and sister-in-law, John and Cornelia Liles of Lilesville, NC; two nephews, Franklin Liles and Anthony Liles (Jackie); one niece, Miriam Liles; two aunts, Gertrude Byrd Hall of Sicklerville, NJ and Loretta Byrd of Rose Hill, NC; one uncle, J.T. Byrd (Sarah) of Polkton, NC and a host of dear cousins and friends. Funeral services will be 3:00pm Wednesday, April 3, 2019 in the Chapel of Leavitt Funeral Home. Interment will follow in Westview Memorial Park. The family will greet friends from 5:00pm until 7:00pm Tuesday, April 2, 2019 at the funeral home and other times at the home of his brother, and sister-in-law, John and Cornelia Liles, 105 Dean St., Lilesville.